A Box for This, a Box for That, Even a Box for Your Cat! Maybe you have seen the latest craze for humans. Boxes. You can get a subscription to a box that will arrive monthly featuring everything from specialty make-up products to snacks. 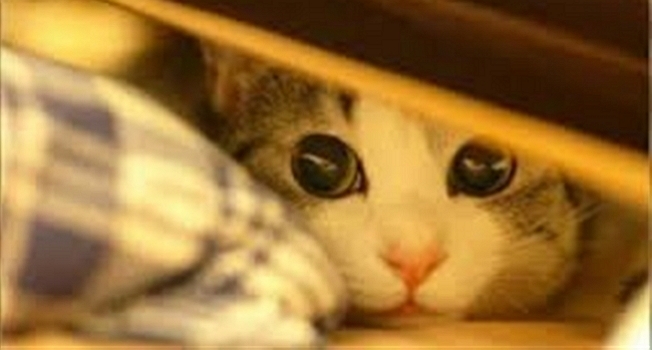 Of course, cats already know about the value of boxes. Obsessions Aren’t Funny, Right? Wrong! What’s more intriguing about this quirky video? The kitten who won’t back off? Or the tense, funny-looking fur ball who appears to be watching television? (Dog experts are welcome to tell us exactly what he is.) The kitten wants to play. 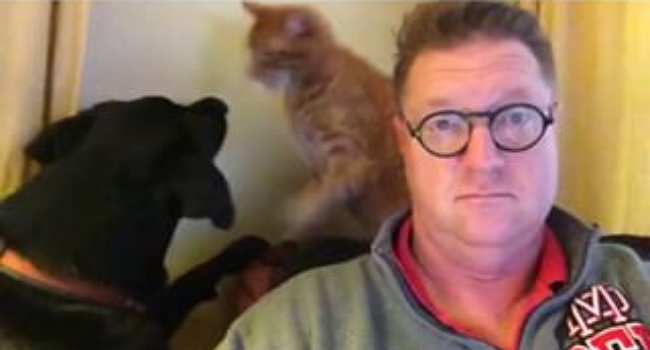 But the grumpy guy only breaks his concentration long enough to tell the kitten to get lost. That’s paraphrasing, of course. But see for yourself. 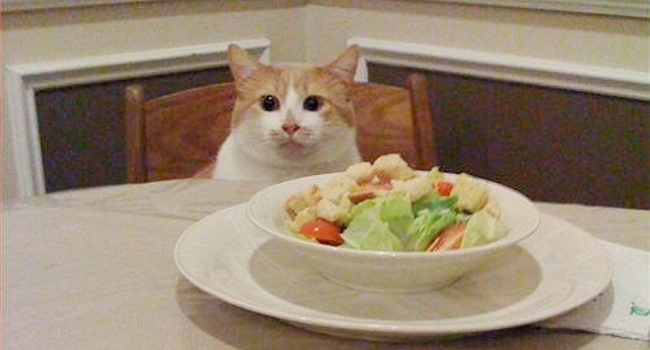 Everybody needs to eat, right? Typically, we do so for nutrition. Sometimes eating comes at the expense of being social or business. For the most part, it is fairly pedestrian, but when food can be tasty and entertaining, seems like a complete win-win. Holidays can lead to stress for many, including dogs and cats, and with the Fourth of July, that can be compounded with the noise associated with fireworks. However, that loud noise, the thunder, that has become part and parcel of display expectations, has seen some significant changes over the years. 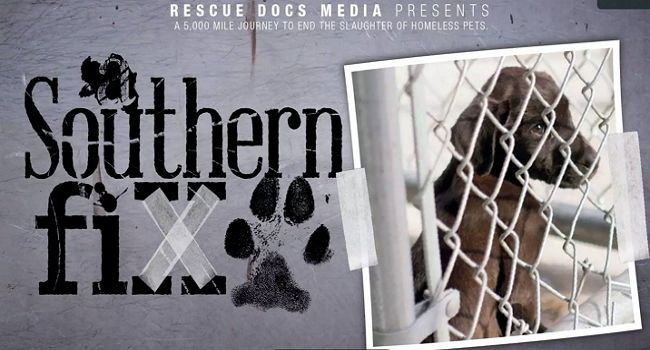 A Southern Fix is an important new documentary film that brings to light the harsh realities of pet overpopulation, the killing of adoptable pets, in the Southeast, and the rest of the country. 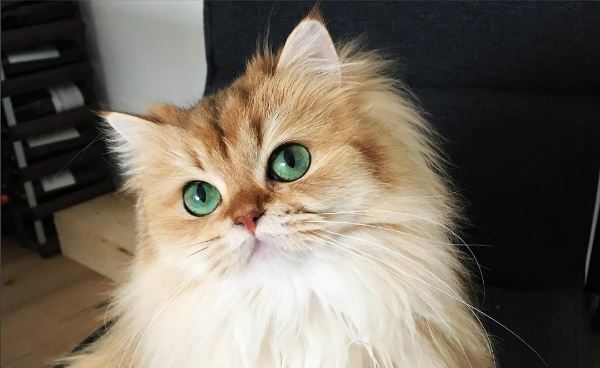 Those emerald green eyes! That silky hair. And she can’t take a bad picture. 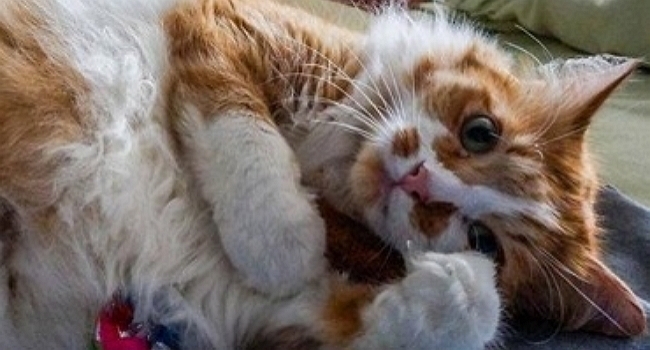 Smoothie the cat is quickly becoming an Instagram star celebrated for her photogenic qualities. 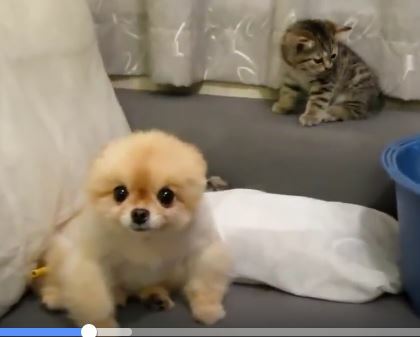 Adorable rescue kitten Ohagi grooms herself with amazing poise and dexterity in this enchanting video. 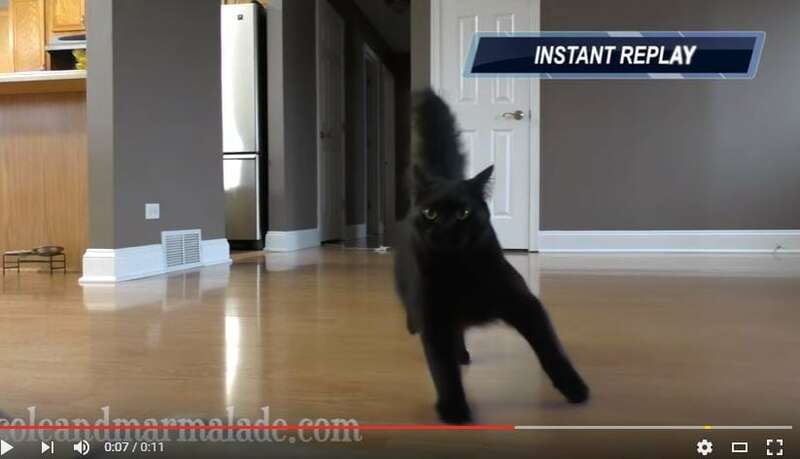 This cat has more smooth moves on a slippery floor than Hans Brinker on ice. And he doesn’t need any silver skates. The video features an instant replay so you can appreciate the fancy footwork. Actor and animal advocate Ricky Gervais and his cat Ollie want New York lawmakers to vote for a ground-breaking law that would make it illegal to declaw cats. “How could anyone in their right mind declaw a cat or a kitten?” Gervais wrote in his statement that was posted on the Facebook page for the Paw Project. All this man wants to do is watch the news. Clearly his friends aren’t interested in the news.